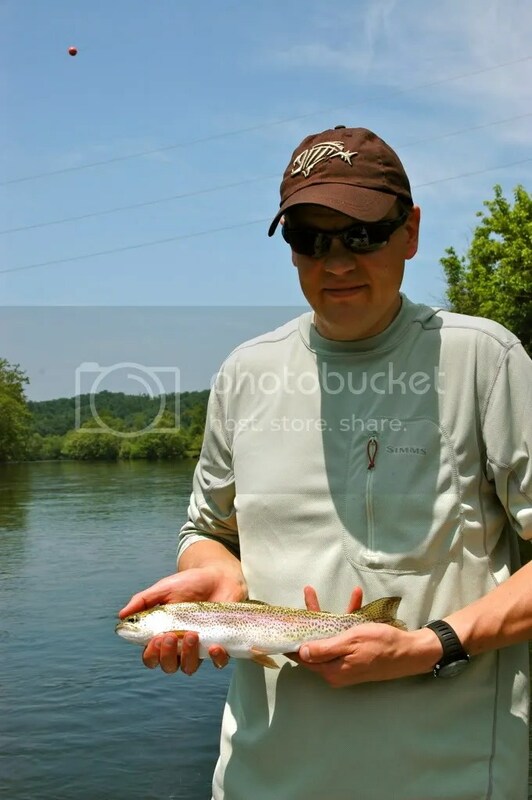 This past Saturday I guided Sami and Markus from Finland on the Watauga River in east Tennessee. It was a bluebird day with temps reaching the low 80’s, which can make fishing tough, but not on this occasion. Fishing was outstanding. We were into fish right out of the gaet. Fish were keying on sulphur nymphs and emergers. Around noon the sulphurs started pouring off and the topwater bite was on. Our fly of choice was a size sulphur para with an emerger dropped off the back. Even though there were caddis and crane flies hanging around, the fish were looking for the little yellow bugs. fishing remained steady until genertion hit us and the fishing slowed. We switched to streamers and moved some fish before we hit the takeout. Carp an Striped Bass are moving into the river as well. 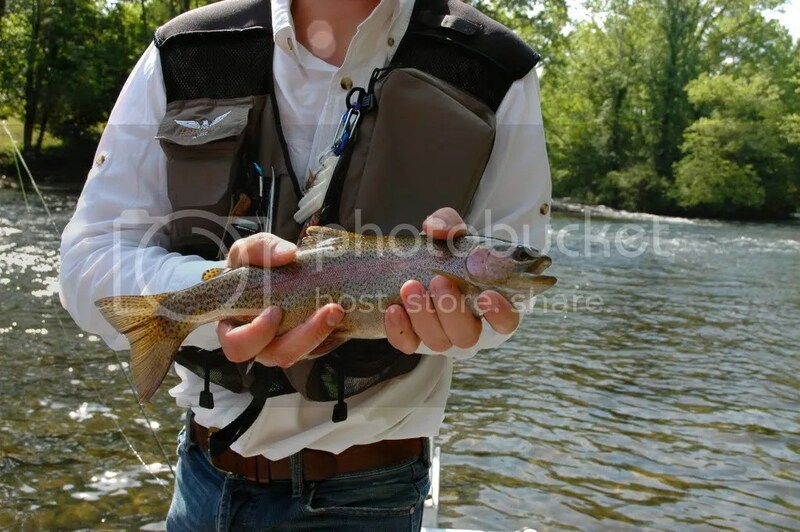 May is a great month for a float trip on the Watauga river. If you have never experienced the tail-waters of east Tennesse, you should give us a call. 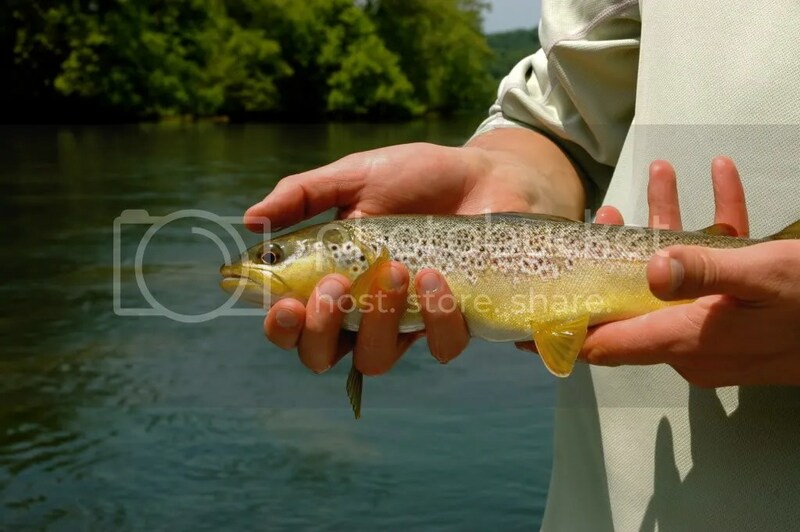 Sami with a Watauga River Brown. 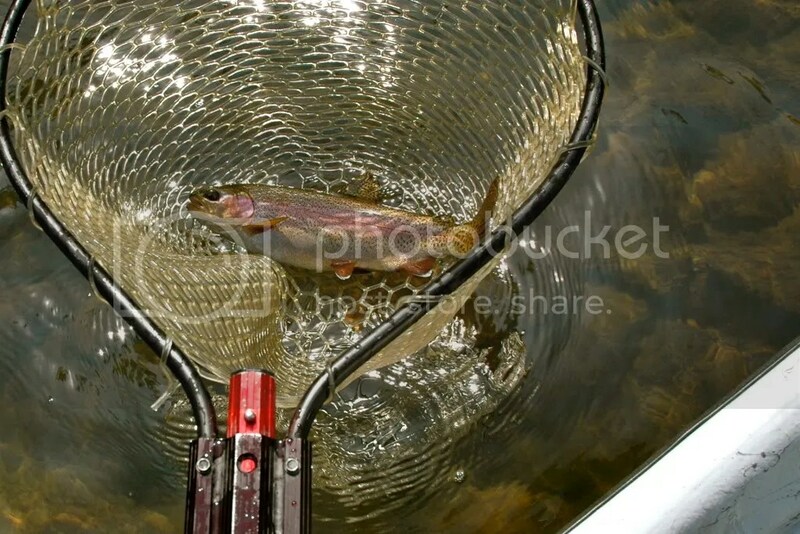 Victim of a dry fly! This entry was posted in App Fly Guides, Appalachian Fly Guides, Float Trips, Fly Fishing Guide, Fly Fishing Guide Service, Fly Fishing Guides in North Carolina, Fly Fishing Trips, Guided Fly Fishing, Guides in East Tennessee and tagged Appalachian, appalachian fly guides, Brown trout, Catawba River Fly Fishing, drift boat, drift boats, drift fishing, dry fly fishing, East Tennessee, Fishing Guide, Float Trips, Fly fihsing in North carolina, Fly Fishing, Guided South Holston Float trips, Guided Watauga River Float Trips, guides near boone nc, South Holston, Watauga River, www.appflyguides.com, www.catawbariverflyfishing.com, www.wilsoncreekflyfishing.com. Bookmark the permalink.